What will happen to your belongings in the event that you pass away? Whether you have written a will or not, your estate will enter a legal process known as probate. Basically, the court will supervise the division of your home and assets to family members and ensure your debts are settled. The process varies from state to state, but the timeline is generally the same. In today’s blog post, we discuss the probate timeline and what happens if you decide to sell a home that has passed through probate. 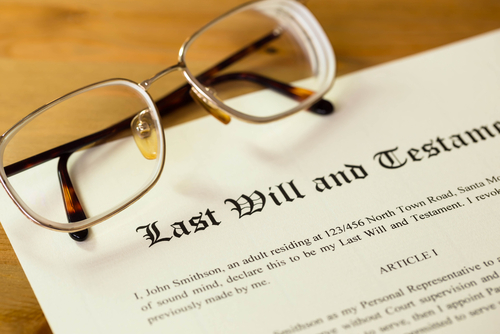 First, you will need to find out whether the decedent had a will and authorized an executor. Otherwise, you will need to go to the courts and obtain permission to administer the estate. If other family members contest this, then the court will authorize a neutral third party to oversee the estate, paid from the estate. How long this process takes and what paperwork needs to be filed will of course vary depending on which state the decedent resided in. First, you will need to file paperwork with the court and present the will. This is typically completed in a few days or weeks, depending on the size of the estate. The window to contest the will remains open for about three months. Once this period ends, an inventory of the estate will be completed. On average, the next step, settling accounts and debts, can take as long as six months, and in some cases even longer. Creditors have a year to file claims with the estate. On average, the entire probate process can take three to four months for small estates and several years for larger estates, especially if the will or executor is being contested. We always encourage people to make out a will and have it notarized, saving their family members the headache of a prolonged probate process. If you have any questions, you can consult a local attorney to find out what your state requires for the probate process. What If the House is in Disrepair? In some cases, you may find the home in very bad shape, requiring repairs you simply can’t afford. You may also find a mortgage that is beyond your budget. When this occurs, you might consider selling the home. Depending on your state and what the probate process involves, you may be able to sell immediately or you may need to wait until the courts say you’re clear to sell the home. If you think you may be interested in selling a home, you can contact Fast Home Help to request an all-cash quote. We're happy to answer any questions you may have about the process of selling a home.